THE devastated owner of a once-thriving Warwick business stands outside the shopping centre that housed his whole life, saying he fears for the future of other businesses inside. 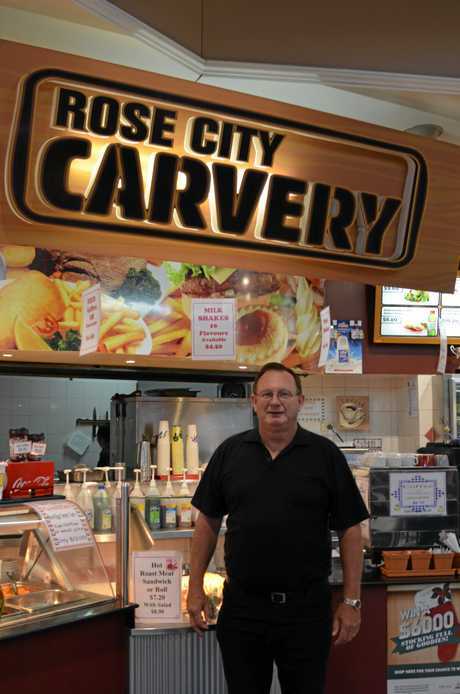 When Neil and Helena Parfitt bought Rose City Carvery in October 2013, they took over a long-standing local eatery teeming with loyal customers. 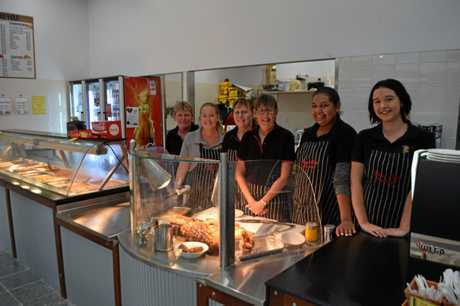 The Carvery was a famed Warwick business where locals would flock for a delicious pork roll and chicken chips. "We loved the business, we loved the staff and we loved the customers," the 61-year-old Warwick-born man said. "We knew everyone by name." But five years on, Mr and Mrs Parfitt are bankrupt, devastated and say they lost everything to shopping centre renovations that took months longer than expected. "This has cost us our pension. 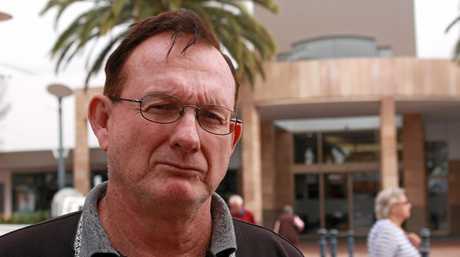 This has cost me and my wife almost half a million dollars by having to walk out of that shopping centre," Mr Parfitt said. 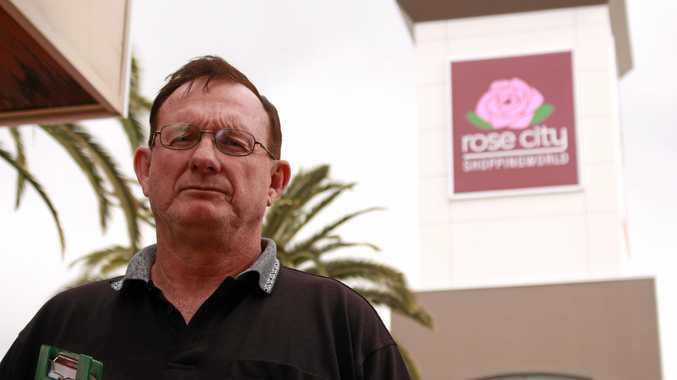 On Wednesday night last week, Mr Parffit and two tradesmen removed equipment and fittings from his prominent shop space in Rose City Shoppingworld without notifying staff. Shoppers and centre management were shocked to find a gaping hole in the centre of the food court the next morning but Mr Parfitt said he had to flee to salvage the last of what he owned. "They (shopping centre) would have just kicked us out and kept our gear," he said. "They would take possession of $120,000 of gear in there and not allow us back in the shopping centre." Under threat of eviction due to unpaid rent, Mr Parfitt said the decision to leave the centre without telling staff was one he regretted having to make. Eleven employees found themselves confused and jobless when the carvery closed. "The staff are a concern for us and we apologise for how we had to do it," Mr Parfitt said. 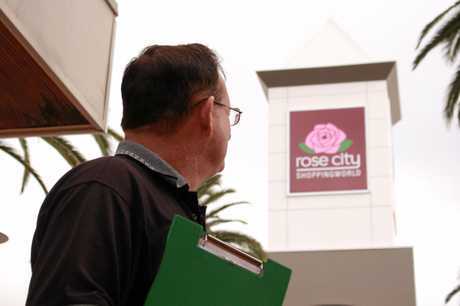 But he believed his substantial debt was the result of unfair treatment by McConaghy Group, the company that owns Rose City Shoppingworld. He claimed the decision not to renew his lease was part of a "plan" to get businesses to shoulder the cost of centre renovations, which the group denies. According to Mr Parfitt, his previous lease agreement with McConaghy Group stipulated the company would pay for renovations or upgrades to his shop but, when his lease ran out in 2015, Mr Parfitt said he went to a month-by-month payment plan. 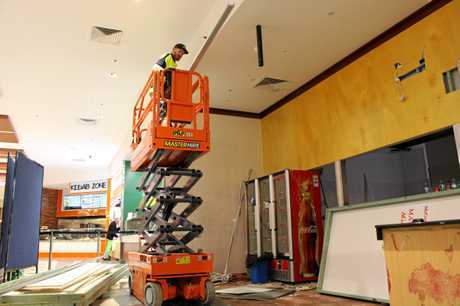 "They asked us to cover the full cost to renovate that shop," Mr Parfitt said. On top of paying McConaghy Group for the renovation plans, Mr Parfitt said he also had to pay for labour and materials which he could not afford. But the renovations, which were supposed to take a few weeks, blew out to more than four months. "We were losing money every day," Mr Parfitt said. "It drained all our cash flow you just can't operate when you are doing that." A spokesman from McConaghy Group said the carvery was responsible for its own fitout and managing how long it took them. "We are disappointed if Mr Parfitt believes he has been treated unfairly but we reject in the strongest terms that his belief is justified," the spokesman said. "We have always worked with our tenants to resolve any issues and certainly had endeavoured to do so in this instance." Mr Parfitt also claims he was offered a loan from McConaghy Group to cover the cost of renovations that was not honoured. 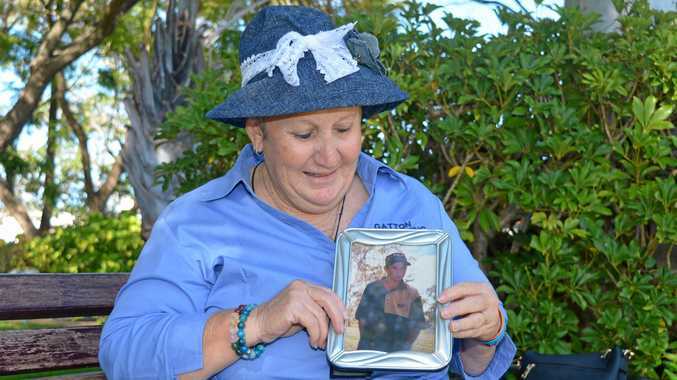 Paying $108,000 to tradespeople in the past 12 months, Mr and Mrs Parfitt have lost all their money, declared bankruptcy and closed the business. At 61 years of age with nothing left, Mr Parfitt worries the same thing could happen to other businesses. "Now we have a struggling shopping centre and there will be other local people who will lose their businesses and retirement," he said. "There are great people in there and it would be terrible for it to happen to them." The McConaghy Group spokesman said the company did its utmost to be accommodating to the businesses during the development. Having now gone through the "crying and the angry" stage, the Warwick couple are trying to figure out what they will do. "That was our retirement. We spent a lot of money having to do it up and now it is all gone." Mr and Mrs Parfitt have been offered other shops in Warwick to lease but are unsure if they will stay in town. "We were thinking we would do another five years in the shopping centre and then look at retiring, but that has gone by the way: I can't see us retiring for a while." The couple also used their connections to help their staff find jobs with four already in new employment.